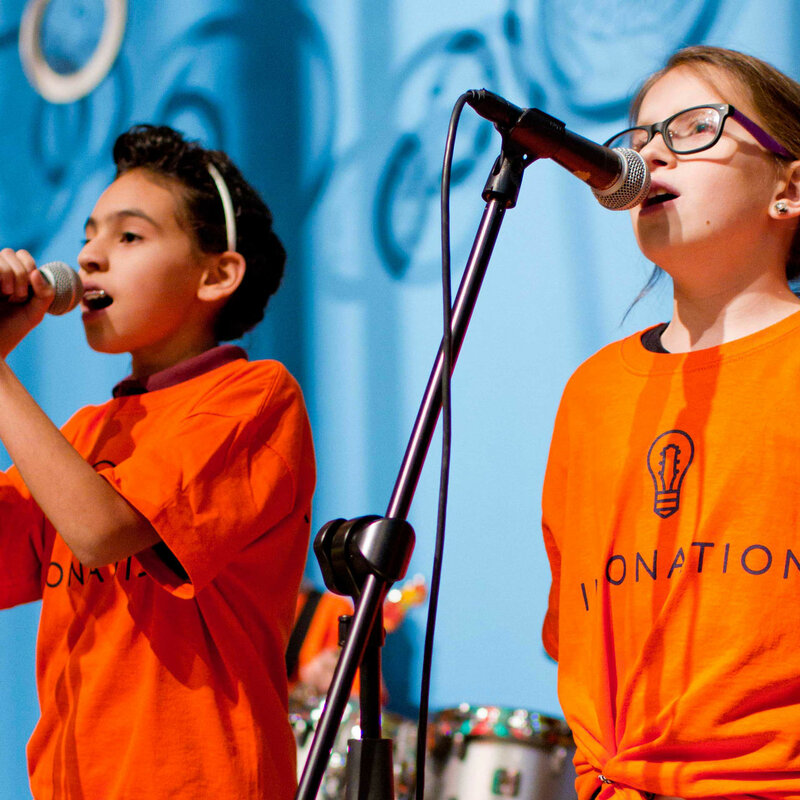 Intonation partners with schools, parks, and community organizations across Chicago to offer Rock Band programming to youth grades K-12. Whatever the interest or skill level, we have a program to meet students where they are! 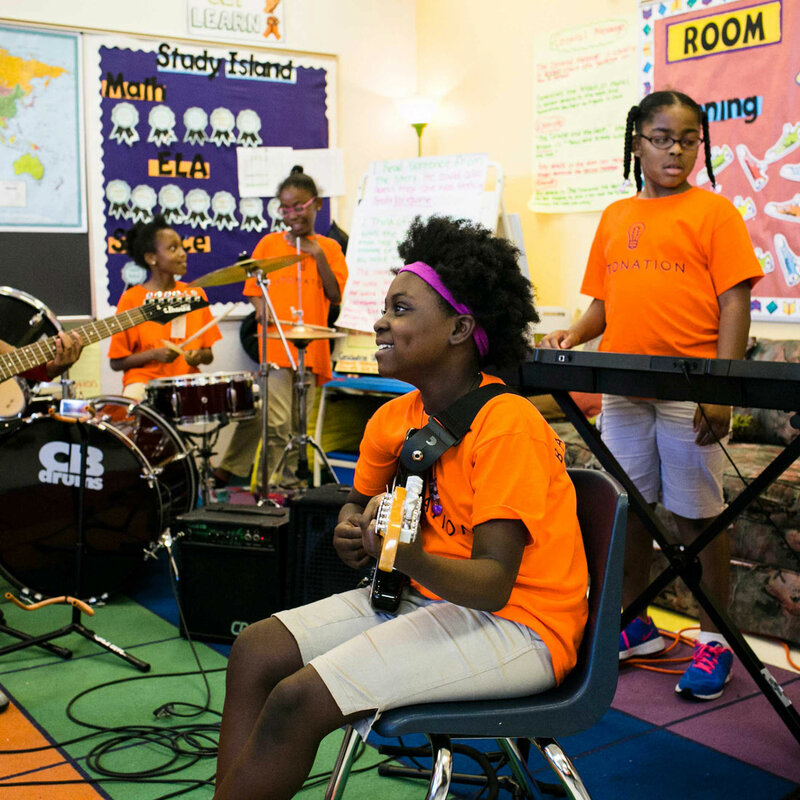 Over the course of the school year, instructors work closely with students as they learn the instruments in pop/rock music, practice songs as a group, develop a band identity, and perform for the community. Culminating concerts range from school talent shows and gym showcases to public events at Navy Pier, Lincoln Hall, and Millennium Park. Class size can accommodate up to 12 students and typically meets once per week for 60-120 minutes. 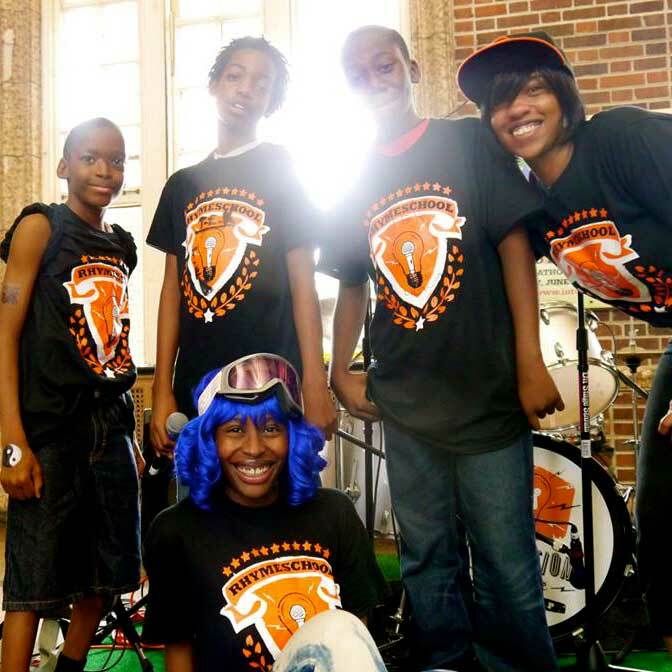 Partners interested in giving their students a taste of the Rock Band program in a one-off experience may also prefer RockBlock, our one day Rock Band workshop. Over the course of 2-3 hours, up to 25 students are introduced to the instruments, learn basic parts, and come together to perform a song. RhymeSchool Students explore the power of the written word with their own voices, and with a serious artist leading the way. That artist is Chicago rap icon Psalm One, whose intelligent and soulful style has made her one of the most talked-about MCs in modern Hip-Hop. The students of RhymeSchool spend the term writing, recording, and performing their own hip-hop track, strengthening their individual voices along the way. Students get a first-hand glimpse into what it takes to be a successful artist – from writing rhymes and crafting hooks to performance and promotion. Class size can accommodate up to 20 students and typically meet once per week for 60-90 minutes.